WARNING! The contents of this eBook may cause extreme taste sensations and possible weight gain !!!!!!!!!!!!!!!!! You've been warned . . . Cheesecake is a Sinfully Delicious Melt In Your Mouth Dessert! 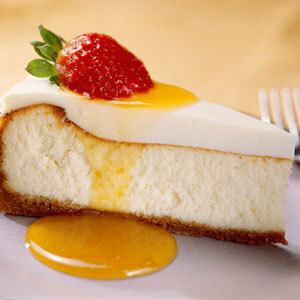 Smooth and Rich, cheesecake is the most tasteful and unforgettable way to end a dinner meal. Now with Deliciously Decadent Cheescake Recipes, you can easily treat yourself to a delicious homemade slice of heaven or try some of these gourmet cheesecake recipe ideas with friends or family. Can you imagine the creamiest, dreamiest, yummiest cheesecake you've ever tasted. Now try to imagine having it all for yourself whenever you want it! Deliciously Decadent Cheescake Recipes makes homemade cheesecake so incredibly easy and fun, you'll be hard-pressed to find a more perfect dessert for every occasion. Treat yourself to bliss, order your own cheesecake recipe collection today. Yumm . . .Cheesecake....Need we say more?